Come and see Julie and her amazing border collies in action. A great chance to see and interact with some wonderful dogs. Watch them work in their own environment. Carcant Farm is a breathtaking place to visit. Set in the beautiful moorfoot hills, where wildlife roam undisturbed. Julie offers sheepdog demonstrations by appointment. Whether you want to see these dogs for pleasure or want to learn more about her Natural Way method, then Julie can adapt the type of demonstration to suit requirements. Type of demonstration on offer. Overview of training a sheepdog using "The Natural Way"
This demonstration show in brief the different stages of training, from the early stages of communication to the advanced stage of training that is required for hill work. Allow one hour for demonstration and an extra half hour for socialising. Hands on demonstration along side Julie. 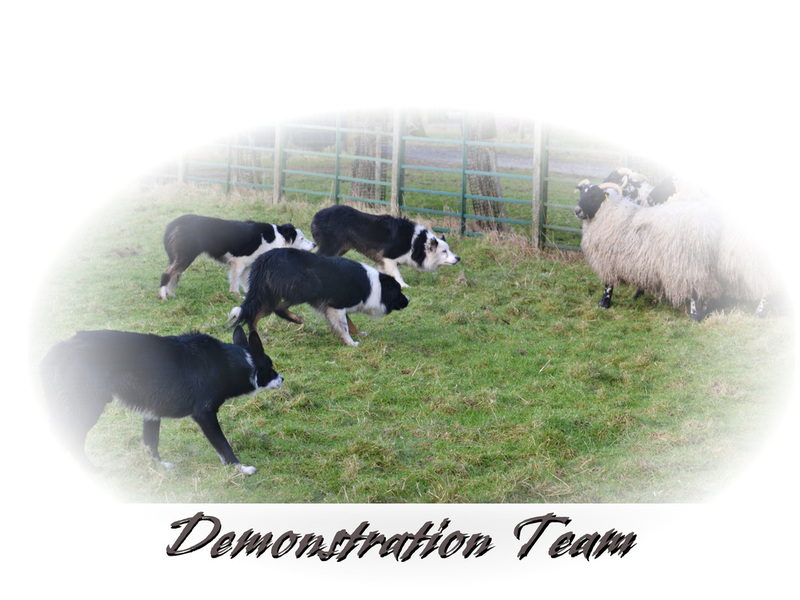 If you would like to get close up with sheep and dog to see and feel how the three way communication works between the dog, sheep and handler then this is the demo for you. Allow one hour demonstration and half an hour socialising. Timescale will depend on clients requirements. ​This starts with a brief explanation of "The Natural Way". Followed by a tour of the farm watching the dogs working in the hills. This requires fit able people to walk on rough terrain. Small groups can be transported by trailer. Allow for 2 hours for demonstration and tour plus extra time to socialise. Groups above 20 £5 per head. Toilet facilities on site and refreshments free of charge. Turn off the A7 to Heriot. Follow the B709 until you pass Heriot church on the left, a few hundred feet ahead is a fork in the road. Take the right fork and keep travelling along the B709 until you see a sign CARCANT on a new stone dyke. This is the farm entrance. Follow down the farm track for approx half a mile and you will see the kennels on your left. You have arrived at NethHillBordercollies.